The problem that I deal with the most is that of wild animals living in people's attics. Catching the animals is only part of the job. In order to complete the job, I have to find and repair all of the animal damage, and in many cases, clean up after the mess that animals have left behind. When a wild animal makes your attic its home, it also makes your attic its toilet. Most animals leave behind quite a bit of biohazardous waste, in the form of droppings, urine, oils, hairs, and other body wastes, not to mention parasites like fleas or mites. 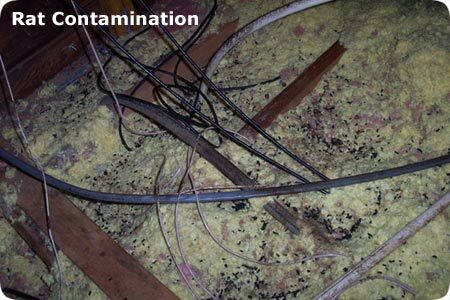 These wastes not only make your attic smell bad, but they can pose a biohazardous risk, and furthermore, serve as an attractant to other animals in the area. Once an animal has lived in your attic and established its scent, that smell serves as a signal to other animals indicating that your attic is a great place to set up a den. 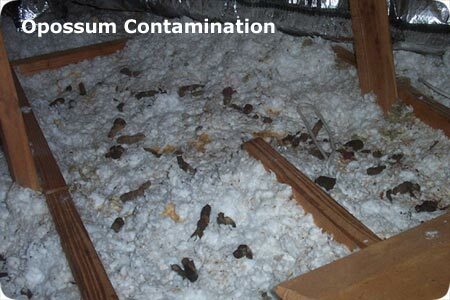 Click here to read about the different kinds of animals in the attic, and how to remove them. To learn about some of the diseases caused by animal droppings, click my diseases page. a home or attic space, it will try to get into those areas. Eliminate these attractant odors by having your attic sprayed with BioShield. 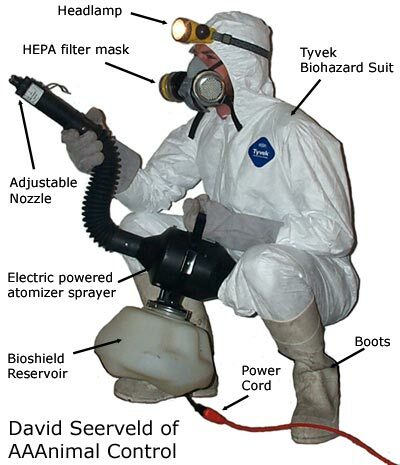 In my years on the job, I have learned to identify each animal's unique scent, and I know which animals have been using an attic. If I can smell the odor, you'd better believe that the animals, with their far superior sense of smell, can!